Can the sanakey help me? If you are in pain then the sanakey personal pain relief device can help you. If you are experiencing acute pain as a result of a recent injury, inflammation, recent surgery, headaches, etc. the sanakey personal pain relief device can help you. If you are experiencing chronic pain, the sanakey personal pain relief device can help you. The sanakey personal pain relief device is effective in reducing pain, reducing swelling and inflammation, and reducing muscular spasm and as a result improved function, flexibility, and accelerated healing time. neuropathic pain – trigeminal neuropathy, diabetic neuropathy, peripheral neuropathies, brachial plexitis, Complex Regional Pain Syndrome (CRPS), fibromyalgia pain, etc. many others – headaches, Irritable Bowel syndrome (IBS), period pains. Our health relies on the continuous exchange of information within the body. Each and every function of the body is interrelated and works in harmony with other functions – that is until stress, injury or chronic disease disrupts that communication. The sanakey communicates with all functions of the body through direct contact on the skin, tuning into the body’s inner communication, and understanding the body’s needs from the signals being sent back and forth. The sanakey responds to these signals accordingly with gentle electrical impulses that communicate with the nervous system to stimulate the body’s own pain relief and healing processes, so your body can operate with maximum efficiency once again. The sanakey uses feedback to accomplish this. The sanakey sends out a series of electrical signals through the skin and measures the response. Each signal is only sent out when a change, in response to the previous signal, is recorded in the electrical properties of the skin. Visible responses include reddening of the skin, numbness, stickiness (the device will have the feeling of being magnetically dragged), a change in the numerical readout and an increase in the electronic ‘clattering’ of the device. The C-fibres, which compromise 85% of all nerves in the body, react most readily to the electro-stimulation and are responsible for the production of regulatory peptides. The sanakey acts as a catalyst to help the body produce the regulatory peptides that in turn reestablish the body’s natural physiological state and are responsible for pain relief and the healing process. As these regulatory peptides last up to several hours, pain relief and the healing process usually will continue long after treatment with the sanakey is over. How does sanakey differ from a TENS unit? The sanakey is a quantum leap in technology over TENS Therapy. In conventional TENS therapy, for example, the pain subsides usually only while the TENS unit is activated. With sanakey therapy, pain relief extends beyond the actual treatment, often weeks beyond. That’s because with the use of TENS devices, the body adapts itself to the electrical signal and eventually just ignores it. The net result? The pain returns. This is one of the major distinguishing factors in when using the sanakey. The sanakey sends out a signal and then waits for it to return from the body. The device then ‘reads’ the returning signal and adjusts its own subsequent signal. Because of this feedback mechanism, each new signal differs from the previous one, thus overcoming the adaptiveness of the body to a single, continuous electrical signal as in TENS. The sanakey also influences local blood flow, especially in regulating micro-circulation. That’s important in the treatment of sports injuries, as blood brings the building blocks for repair and removes dead tissue and waste products. But one of the biggest factors in the effectiveness of sanakey is its ability to induce the release of regulative peptides. While the sanakey also induces the body to release natural opium-like painkillers called endorphins (similar to the action of TENS), it is the release of regulative peptides that enables the sanakey to quickly help the body heal injuries of all types. sanakey – dynamic therapy. The device is moved over the skin in order to specifically find optimal treatment areas. TENS – passive therapy. Treatment is non-specific. Stimulation is used to block the sensation of pain with electrodes adhered to the skin. sanakey – specificity of treatment. The unique waveform uses feedback to detect areas on the skin that are neurologically related to areas of injured tissue. TENS – non-specific treatment. Electrodes are placed on or around the area on the skin that is painful. There is no feedback so no detection of injured tissue. sanakey – unique waveform. Pulsed, damped, sinusoidal and skin-impedance sensitive. High amplitude and very short pulse width of the waveform prevents adaptation to the impulse. No two waveforms are the same. TENS – waveforms typically square, spiked or sine, mono-phasic or bi-phasic and are repetitive. Adaptation typically occurs due to repetitive stimulation and long pulse duration. sanakey – highly effective. Treatment time can be as little as 5 minutes. TENS – requires prolonged use for effect. How often will I need to use my sanakey to get a result? The number of times you’ll need to use your sanakey to get the desired result varies greatly from one person to another. 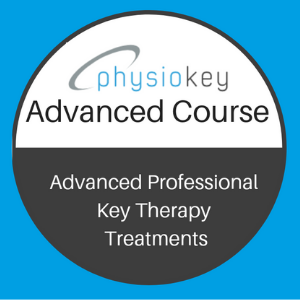 Each person’s injury/complaint/condition is individual and therefore each approach to treatment is individual. In cases where you are experiencing acute pain/injury, the best result will be achieved by treating the injury every hour or so. The body releases its own regulative peptides and endorphins that have an impact on the acute pain/complaint, but after few hours the regulative peptides break down and you’ll need to treat again. In cases where you are experiencing chronic pain then you should expect gradual pain reduction over a period of time. Remember the more chronic the pain/condition, the more time it will take to achieve sustained pain relief. What can I expect after I use my sanakey? Typically, your pain lessens immediately after using the sanakey although there may be some residual pain. As pain relief is achieved through the release of the body’s own endorphins and other regulative peptides, the full effect from using the sanakey is expected within the following couple of hours and lasts sometimes for up to two days. Very often as a result of the sanakey reaching the central nervous system, you may feel sleepy. Our advice is to allow yourself to rest as it promotes the healing process! Does sanakey complement other therapies? 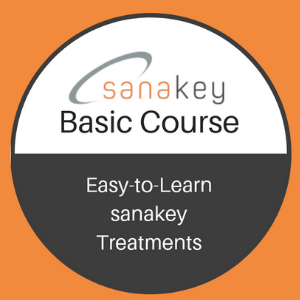 sanakey combines with most known therapies very well. There has never been any adverse outcome reported. When seeking pain relief one should understand that high dosages of pain medication can mask the real outcome of the treatment with the sanakey, therefore we recommend you consult your doctor once your pain is under control with the sanakey to discuss reducing your pain medication. Can I purchase a sanakey from keytraining.online? No. 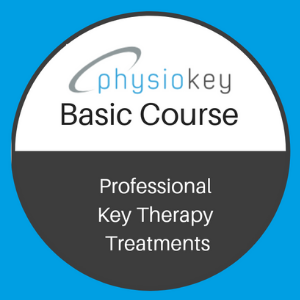 keytraining.online provides online training for the sanakey. It does not sell sanakey devices. Contact us here and tell us where you are so we can point you in the right direction to get hold of your own sanakey! I have other questions not listed here. What should I do? Visit our FAQ page for answers to specific questions, or reach out directly through our Contact page.